The National Heroes Acre is not a place for sell-outs, but patriotic Zimbabweans who sacrificed their lives to liberate the country from the colonial white regime, President Mugabe has said. He said the national shrine was sacred and only genuine revolutionary cadres would be interred there. President Mugabe made the remarks while addressing mourners at the funeral of Zimbabwe's ambassador to the Democratic Republic of Congo Cde John Mawoye in Harare yesterday. Cde Mawoye (60), succumbed to cancer in South Africa last Saturday where he was undergoing treatment and was declared a national hero. He will be buried tomorrow at the National Heroes Acre. His body would be flown this morning to his rural home in Bikita, Masvingo and is expected back in Harare in the evening where it would lie in state at his Greendale home ahead of burial. Said President Mugabe: "Takaongorora tikaona mabasa avo tikabvumirana kuti tivaradzike kwatinoradzika magamba enyika ino zvino vamwe vedu vaya unonzwa voti tafirwawo mumwe wedu haangaradzi-kwewo here panzvimbo yemagamba. (We agreed to bury him at the National Heroes' Acre, but there are others who also want their colleagues to be buried there). "Paya ukatarisa mazita aripo akakosha, fata kana Pope chaiye haapinde paye ane kwake kwaanovigwa. Paye ndepevarwi verusununguko vakaita sana Mawoye vakazvipira kusunungura nyika kwete kuti iwe waifamba naMuzorewa uri muZimbabwe-Rhodesian uchirwisa varwi verusunguko wozotiwo aah ndakapedza makore akawanda ndichitungamirira vanhu ndiri mumusangano zvandakaita zvakaba-tsirawo vanhu saka ndioneiwo. (The national shrine is for those who fought in the liberation struggle, not sell-outs)". The Head of State and Government and Commander-in-Chief of the Zimbabwe Defence Forces said those who felt their colleagues were being left out in the conferment of hero status should find alternative places to bury them. "Ko chanetsa chii? Inga zvuru zvakawanda, zvikomo zvirikowo. 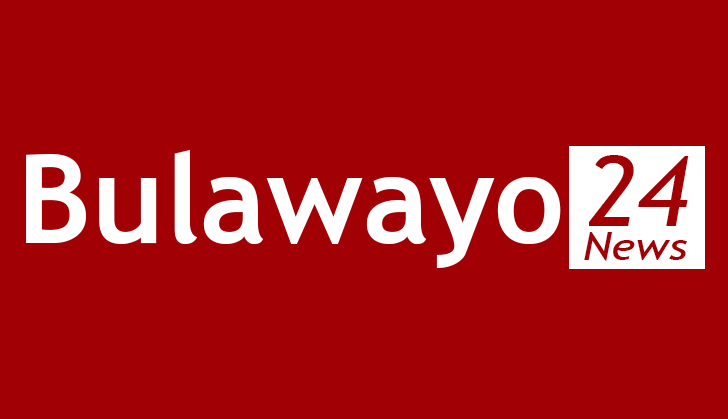 Isu ndipo patakasarudzawoka asi vanenge vada kuita cemetery yavo vanoita havarambidzwe. Vatsvene hatireve kuti hakuna. Variko vanobatsira vanhu zvakanakanaka asi apa hutsvene hwacho hausi hwekupanana muchihwande, kuzvipira kurwira, kutambudzika nekufira nyika yako," he said. President Mugabe said Cde Mawoye was a distinguished freedom fighter who dropped out of university to join the liberation struggle in 1975. "He is one of the guys we trusted because it is only a few people who can opt to leave university for the sake of war," he said. "It is not easy to make such a bold decision considering the life they were living at the university, but they opted to go and get commands in an effort to liberate the country." The President chronicled how he met Cde Mawoye in Mozambique in 1976 after the death of the first Zanu-PF national chairman, Cde Herbert Chitepo. "After Cde Chitepo had died the previous year (1975), we were sent by the party to go and see how the comrades were living in Mozambique and one day, while we were there, we saw four boys arriving telling us that they were from the University of Rhodesia and they had come for training," he said. "The four were Cde Mawoye, Cde Christopher Mutsvangwa, Cde Sobusa Gula Ndebele and the late national hero Cde Zororo Duri. They said they had dropped out of university while in their second year and would resume studies after the war. "He showed intellectual prowess and he was chosen to go for military training in Tanzania before coming back. After independence, when diplomatic posts arose, he was one of the people we looked upon to fill those vacancies." President Mugabe said the Mawoye family should find solace in that the nation was mourning with them. "I learnt that he was not feeling well recently when I went to South Africa, but I never expected him to go too soon," he said. "It's a painful way to go but we are together in this." President Mugabe was joined by several mourners including Vice President Joice Mujuru, politburo members, cabinet ministers, service chiefs and senior Government officials. Deputy Chief Secretary to the President and Cabinet, Mr Justin Mupamhanga who met Cde Mawoye in 1972 described him as a "great strategist and unifier". "I deduce that because John was close to me and the relationship started when we pioneered the establishment of Harare High School in 1972," he said. "We were the first group of 14 students to enrol for Advanced Level at that school and we managed to qualify for university together. We were part of the political activist groups of that time and we even attempted to establish a daily newspaper, but we failed. "We were joined by other people with the same mind like Cde Mutsvangwa, Dr Masimba Mwazha and Cde Ndebele and we both dropped out of school and crossed into Mozambique almost at the same time." Cde Mutsvangwa said Cde Mawoye exhibited "great maturity and was a man to rely on and his actions showed someone who had dedicated his life to liberate this country from the Smith regime". Cde Ndebele added: "He was the cohesive force behind most of our operations. He made right judgments and we had hope and confidence in him." Condolences continued to pour in yesterday with Zimbabwe's ambassador to the UN Mr Chitsaka Chipaziwa describing Cde Mawoye as a "humble and diligent colleague". "Cde Mawoye's contribution to the liberation struggle of our country is well known and cherished," he said. "We are gratified that you have bestowed national hero status on him. He was a worthy role model in all aspects of public service. We shall miss him." Born on April 16, 1952 at Ndanga Hospital in Zaka, Cde Mawoye did his secondary education at Highfield Secondary School before proceeding to Harare High School for his A-Level. During the liberation struggle, he worked closely with the late Zanla commander Cde Josiah Magama Tongogara as director of the Chitepo School of Ideology. At the school, he provided intellectual direction to cadres in the latter part of the liberation struggle, including the initial training of many political commissars. He was among the first Zimbabwean diplomats in 1980 and served in various countries including Mozambique, Romania, Bulgaria, Senegal and the DRC. While serving as Ambassador of Zimbabwe to the Republic of Mozambique, he was the driving force behind the establishment of the Chimoio Monuments to comme-morate people who lost their lives in Mozambique during the struggle. He contributed in the construction of another monument in Zambia. He is survived by wife Tendai and five children Waraidzo, Chiedza, Rumbidzai, Ushemasimba and Rufaro.